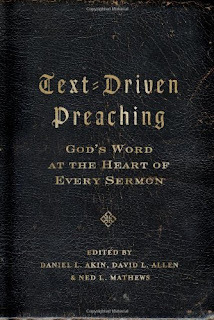 Text-Driven Preaching: God’s Word at the Heart of Every Sermon by Daniel L. Akin, David L. Allen, and Ned L. Mathews is one of the latest books that I have found to be beneficial on preaching although it was written in 2010. At the core of this book is a deep concern for how that much of the preaching on the American landscape is becoming increasingly devoid of devotion to the praying life of the preacher and the absence of Scripture once the sermon leaps off from the initial text. The first four chapters of this book (Part 1: The Preacher and Text-Driven Preaching), covering almost 100 pages, are concerned with this matter. 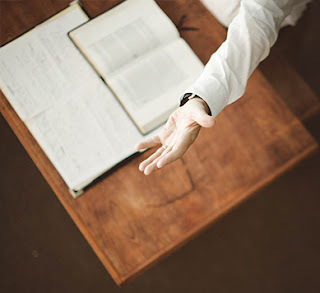 Good books on preaching do not just help with the ‘how to’ of preaching, they convict you as you read the book and I found this book to do exactly that. 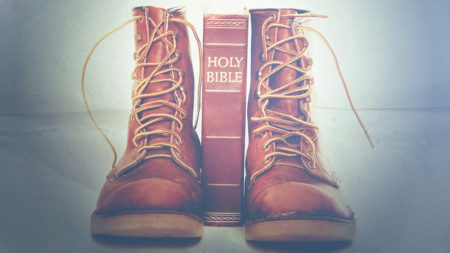 The chapters speak to you about matters of private prayer, devotional reading of the Scriptures, holiness of life, and one addresses the matter of how we should dress as we preach God’s Word. That might sound a bit old-fashioned but the casualness of the American pulpit has allowed deep carnality to settle into far too many places that otherwise were not in that condition 25 years ago in that locale. Chapter 3, The Secret of Preaching with Power by Bill Bennett, for a second caught me off guard. I thought I was reading a book by Baptist boys but he sounds like an old-fashioned Pentecostal and not the fake kind going around these days calling itself Pentecostal. The health, wealth, and prosperity gospel is alive and well among the circles that I frequent and this kind of preaching that Bennett speaks of has a price tag on it. 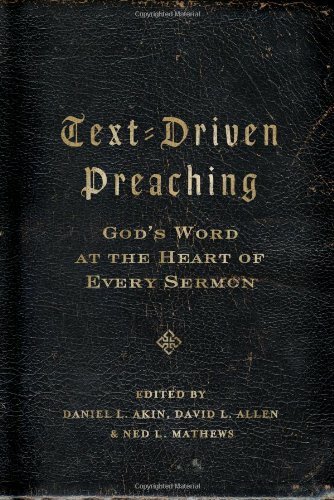 Chapter 4, The Disciplines of a Text-Driven Preacher is a very helpful chapter as well. Part II of the book is incredibly helpful because the chapters are literally ‘how to’ sorts of things. Each writer lays out various numbered or outlined lists that will help any rookie or veteran to improve their preaching. Furthermore, each of the men writing the chapters give very helpful book recommendations for anyone who wants to add to their personal library. Adding to the recommendations that they list for you, the footnotes all through the book are a wealth of help. Some of these books are already in my personal library and I can safely say they have been very valuable to me over the years. I would also suggest to those who are just getting their feet wet with preaching will find some very technical terms that come of fairly frequently in Part II. 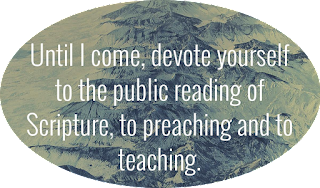 I would encourage you to do yourself a favor and hunt down what these words mean because in the long run they will assist you in becoming a better preacher. When you come to Part III of this book, it deals with the actual preaching of the message. This segment deals with the passion involved in preaching, how the message is received and what hinders those who hear it, and the work of application that should be worked out in every message that is preached. The section on application is very detailed with a host of numbered lists that you will find as stimulation in the process of application of the message. There is a cautionary section on how that application can lead one into heresy if you are not careful with the boundaries. Lastly, this book is one that would do you great good if you were willing to purchase a hard copy and mark it up and keep it nearby for 2018. Go back to it again and again and let it force you to become a truly biblical, text-driven preacher. We have a great obligation as preachers/pastors/ministers to deliver the Word every single week in our local churches. Those who come to worship need to hear what God has to say not our commentary on what is taking place in the world. The only complaint that I would have is that there isn’t a hard-bound edition available. I think you'd enjoy this as well--"Encountering God through Expository Preaching" by Ryan Fullerton, Brian Payne and Jim Orrick (BH Publishers). Enjoyed the review. Thanks.